The importance of local SEO and why ranking highly has never been so important. Did you know that 50% of consumers who do a local search on their mobile phone visit a shop within 24 hours? Were you aware that 34% of consumers who search on a computer or tablet do the same? If you’re just starting out with local SEO, a Google My Business listing is an essential starting place. Think about it for a moment, when you search for a product or service near to you, chances are you’re very close to making a purchase, so it’s vital that your business is visible and ranks as highly as possible. And if you think that being listed in Google is enough, think again. On mobile, Google local results show just 3 business listings and getting one of these positions is no mean feat. The rewards though can be staggering – Google 3 pack local results in the top spot in 93% of searches with local intent. Google My Business is a free tool that lets you manage how your business appears on Google Search and Maps. Your listing will appear right when people are searching for products and services like yours. 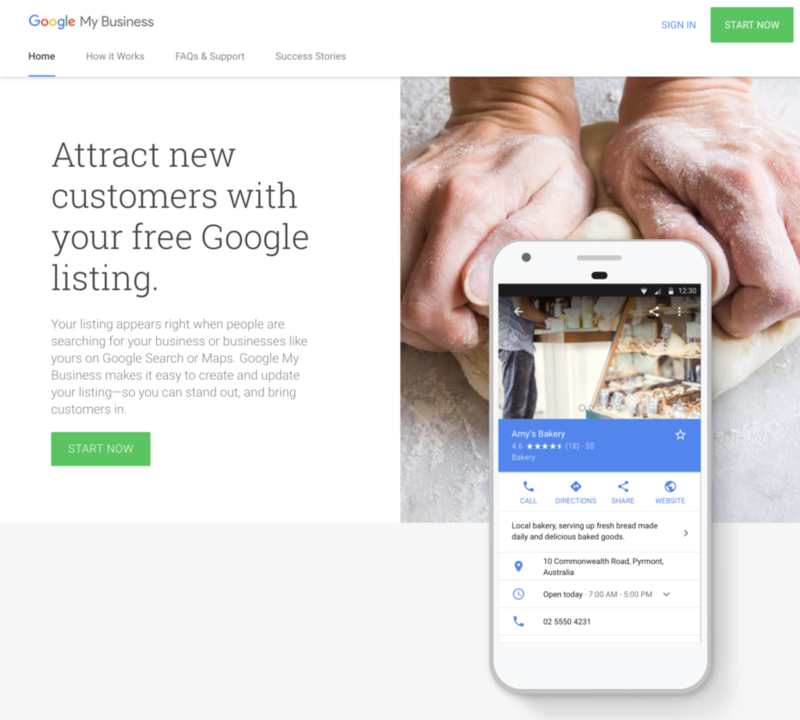 Google My Business makes it easy to create and update your business listing helping you to stand out and attract customers. It includes adding your business name, location, and hours; monitoring and replying to customer reviews; adding photos; learning where and how people are searching for you, and more. The best thing about Google My Business is that it’s completely free. Step 1 – If you don’t already have one, create a Google Account or log. We advise all of our clients to create a Google Account for their business and retain control of it. There are so many different features for businesses to take advantage that you’d be mad not to. Step 2 – Go to google.com/business and click on the ‘Start Now’. Step 3 – Enter your business details. As simple and straightforward as that is, you will need to verify your listing. You can do this by postcard or business phone number. Once you have verified your business, it’s time to start optimising your profile. Go to the Google My Business dashboard, click your listing and select ‘Info’. Then choose a section to complete or update. Now the key thing is to add as much information as you possibly can. Let everyone know your business hours. Tell them that you’re wheelchair friendly or have free parking. Fill out as much information as you possibly can and add as many images as you can. Most important now is to let your business listing run for a couple of weeks to see how well it ranks in Google Search and Maps. You need to monitor where you rank and if necessary tweak things including keywords, services you offer and any information that changes. Remember when I said to complete all the information Google asks for? Well, firstly, make you have. Google Posts are small adverts or promotional posts that show up in Google search in your Google My Business listing or in the Knowledge Panel and on Google Maps. To grab a the searcher’s attention, include an image in your Post, but remember on Google Maps the image can get cut off. Google’s Booking button feature can really help your business stand out. People can now book an appointment with your business directly from your Google My Business listing. This can make it even easier to get new customers as they don’t have to leave Google to book an appointment with you! Remember, Google is always looking for engagement; the engagement from searchers and you, as the owner. The more interaction, the better your chances of ranking higher in the local three-pack and organic rankings in general. That means you need to keep optimising your Google My Business listing to get the most out of it. 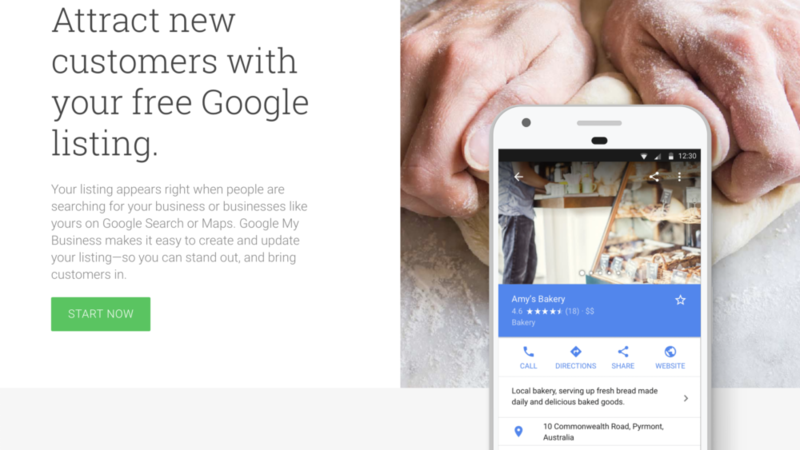 And as new features come out, use them to keep your Google My Business listing fully optimised. 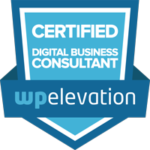 “I contacted Stuart at Creative Sprout as I had created a website myself and wasn’t getting the rankings I required on google and bing. Since then, Stuart has done what he does best, got my site high up in the rankings and edited my website so it looks very professional. I haven’t added that to brag – it simply outlines the affect that an optimised Google My Business page can have. Have a go and see how you get on! Need some help with your local SEO? We can help you with your local search rankings bringing you more of the customers you want. Get in touch with us to learn more.